FBI Director James Comey said Wednesday that Americans should no longer have the expectations of complete privacy. Comey, who was the keynote speaker at a cybersecurity conference at Boston College, said there is no longer “absolute privacy” in the U.S. Even our memories aren’t private, he said. Any of us can be compelled to say what we saw. In appropriate circumstances, a judge can compel any of us to testify in court on those private communications. There is no place in America outside of judicial reach. Comey’s comments came less than 24 hours after WikiLeaks released files from the CIA which appear to show that the agency has the ability to hack cars, TVs and smartphones. All of us have a reasonable expectation of privacy in our homes, in our cars, and in our devices. But it also means with good reason, in court, government through law enforcement can invade our private spaces. Comey also bragged we were stuck with him the rest of his 10 year appointment. “You’re stuck with me for another 6 1/2 years,” he said. 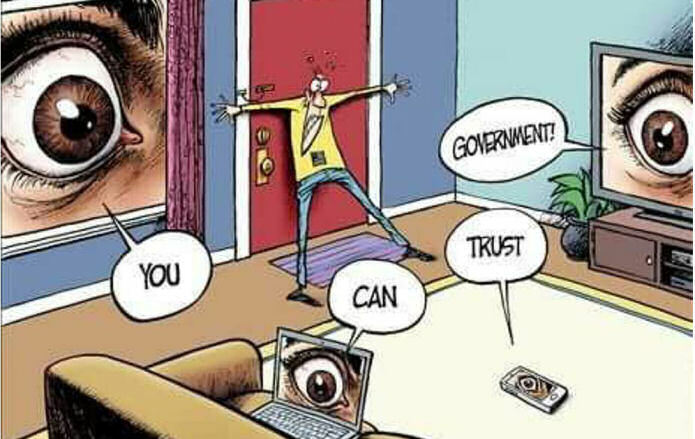 Most of us are aware that our rights to privacy are slowly slipping away. It started with Facebook encouraging everyone’s family business be made public.